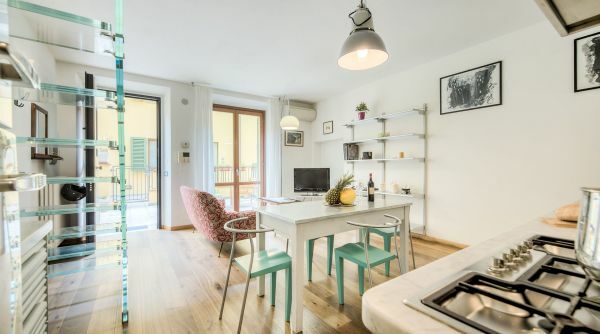 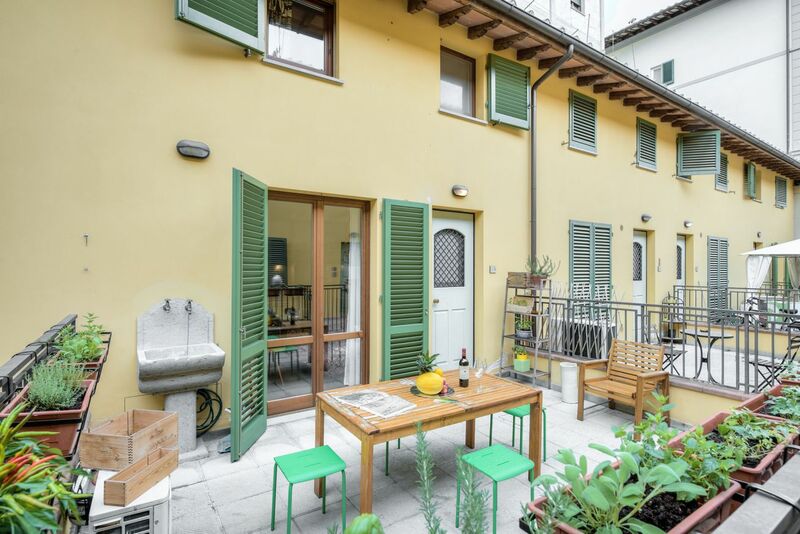 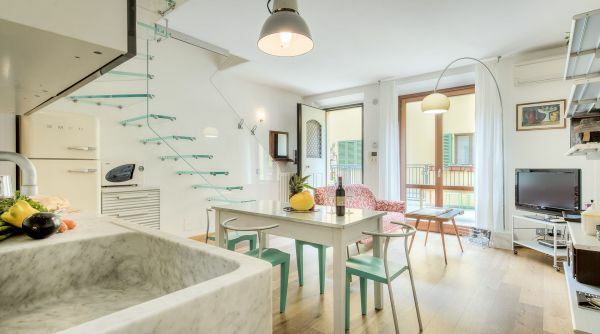 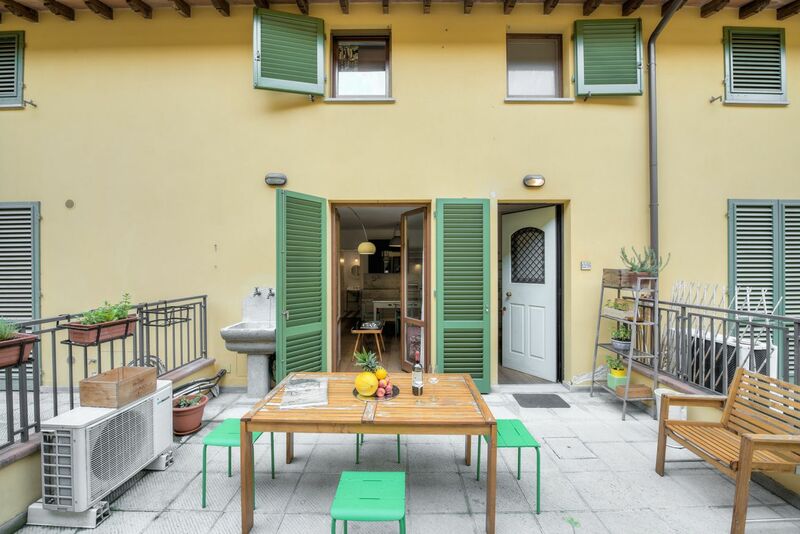 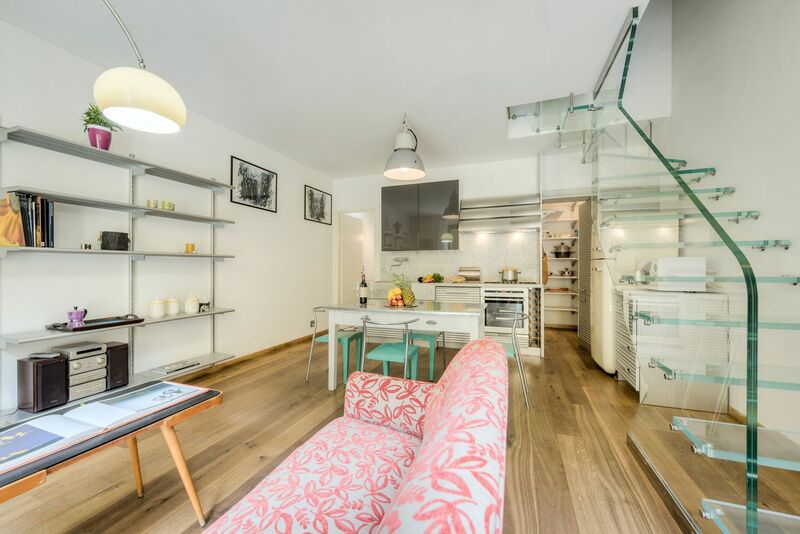 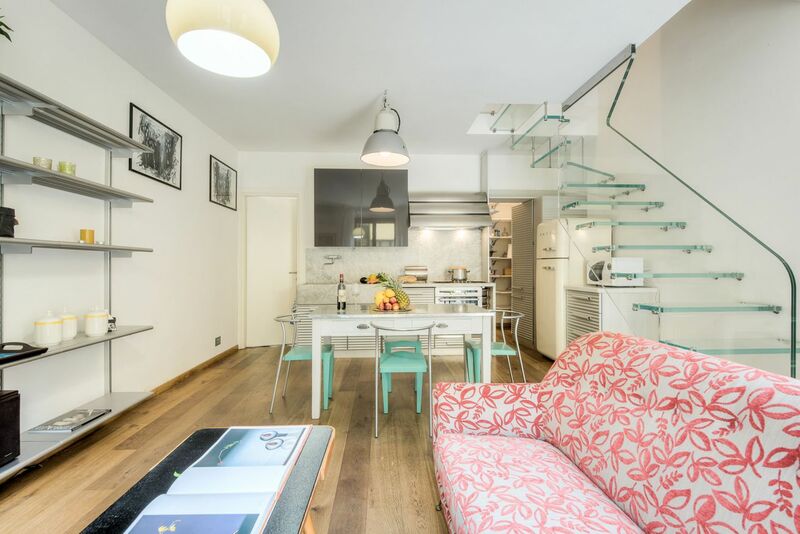 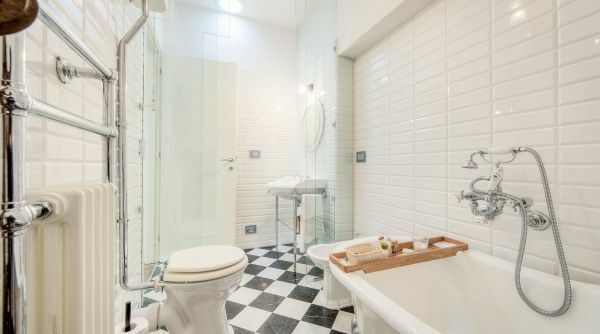 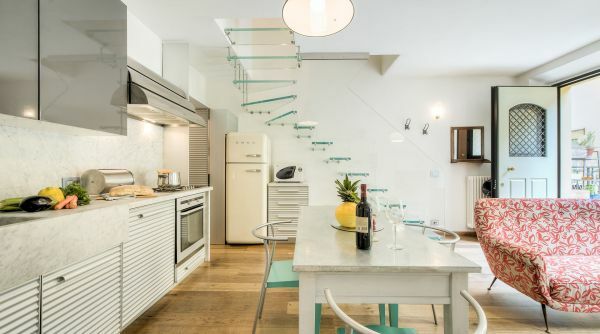 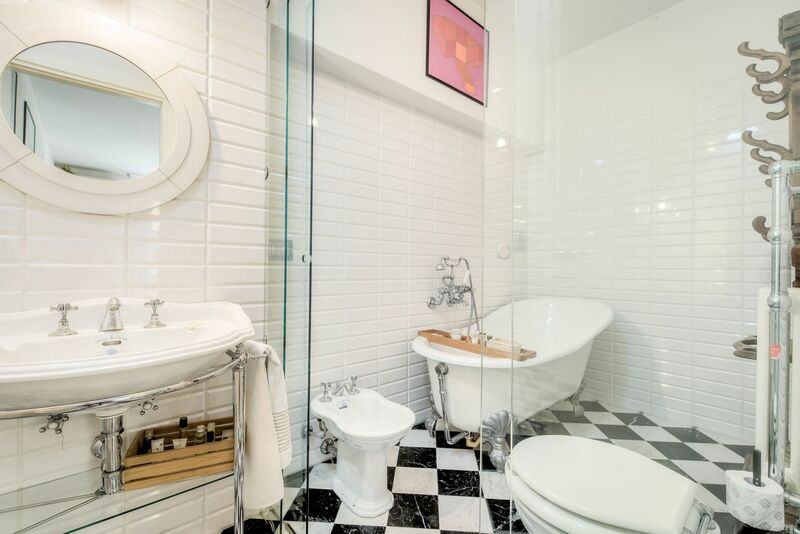 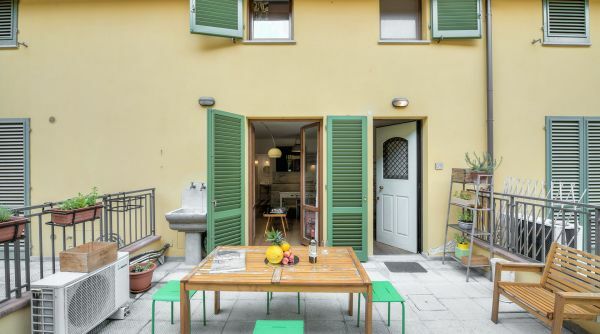 Delightful modern townhouse in the district of San Frediano, one of the liveliest and most authentic in the city. 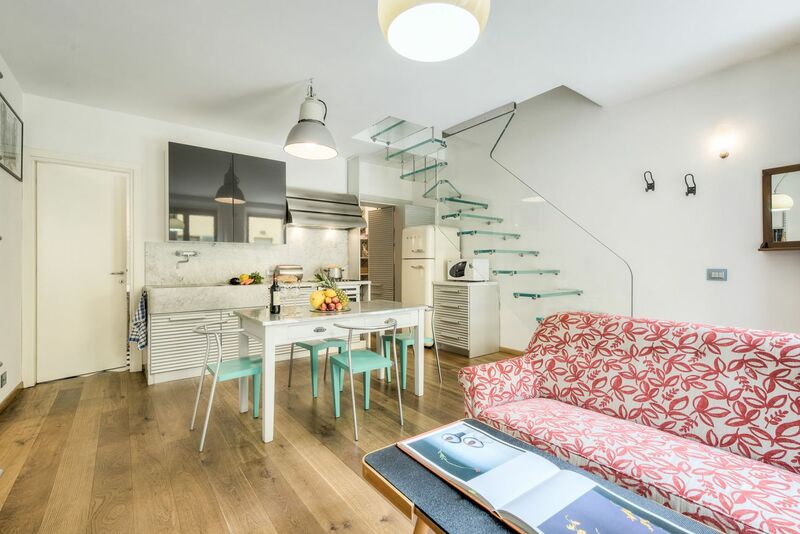 Located in a tranquil private complex with recent stylish renovations. 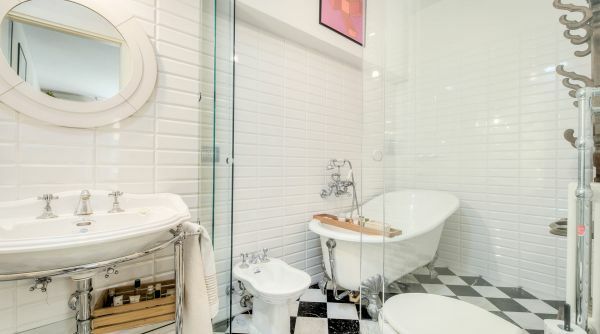 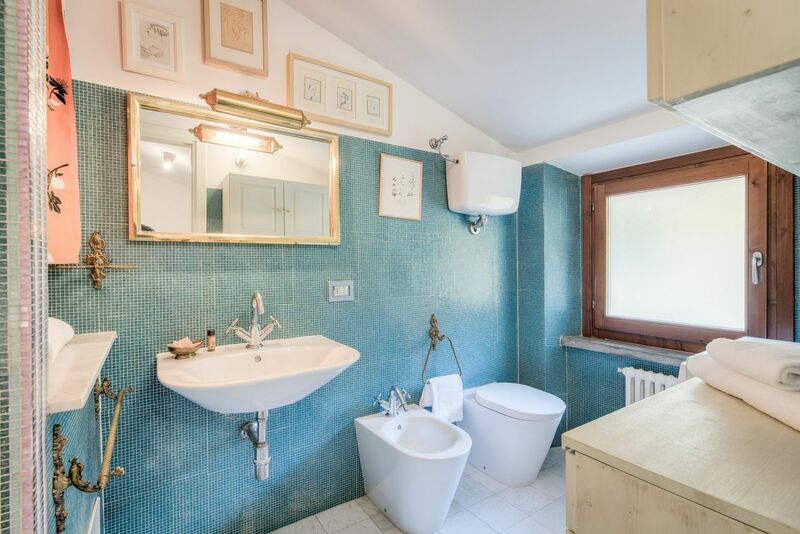 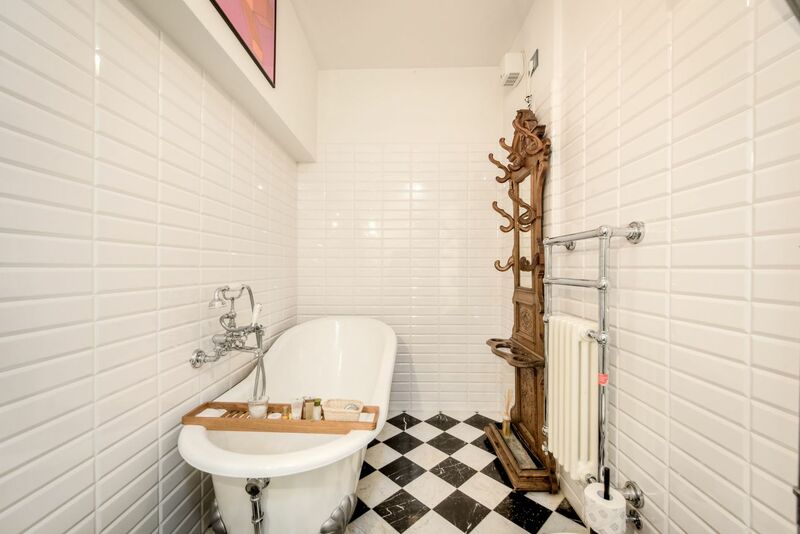 The property is composed of two bedrooms, a walk in closet, two complete bathrooms, one with a beautiful bathtub and wide living room with a well equipped kitchen. 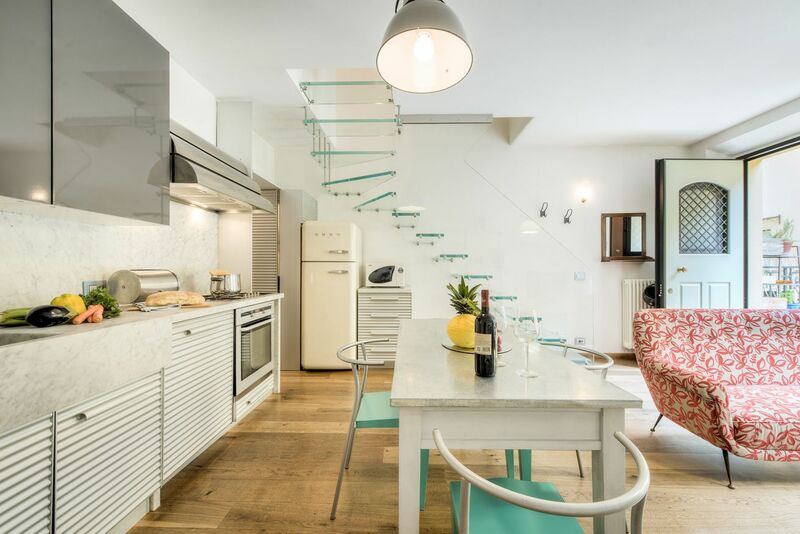 Its spacious and convivial common areas and terrace offer guests the opportunity to relax and unwind after taking in the sights of the city. 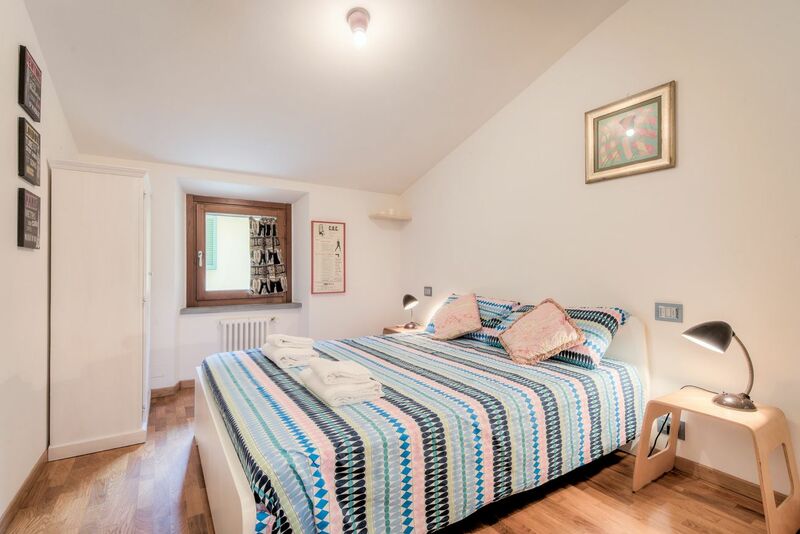 This apartment is perfect for a family or for a group of friends as it can comfortably accommodate up to four guests. 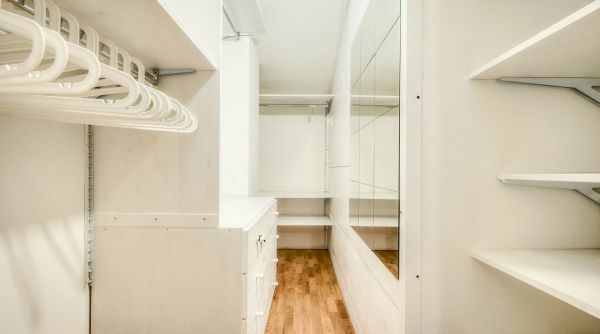 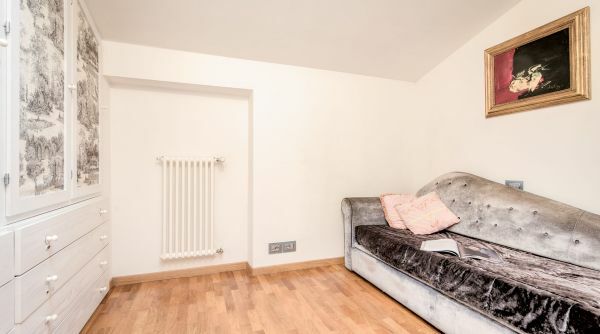 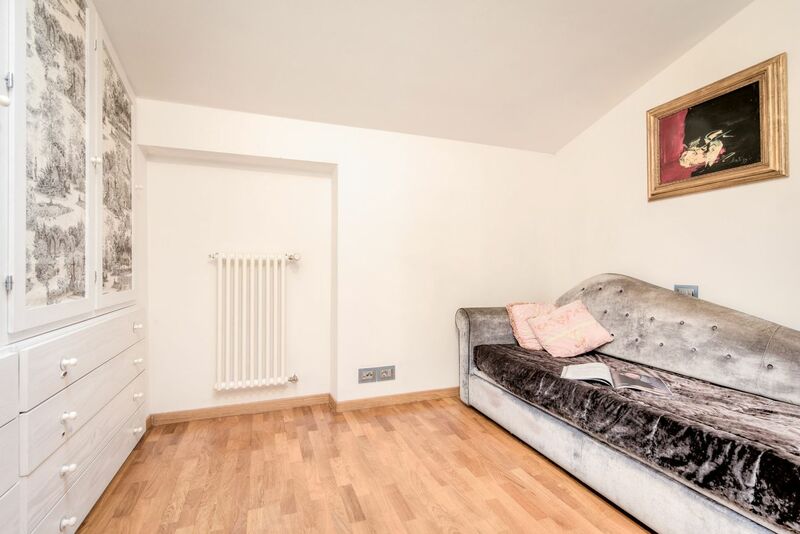 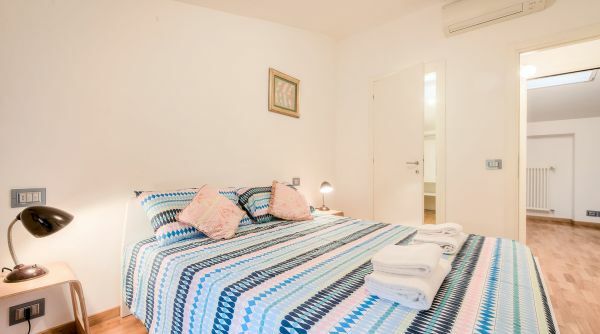 The apartment includes unlimited Wi-Fi and independent heating. 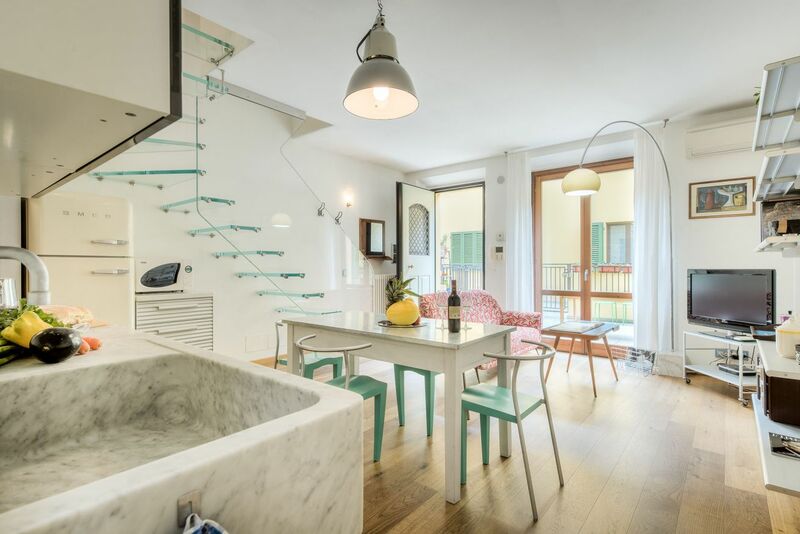 Design San Frediano is located in the Santo Spirito neighborhood, just inside the ancient medieval city walls of Florence. 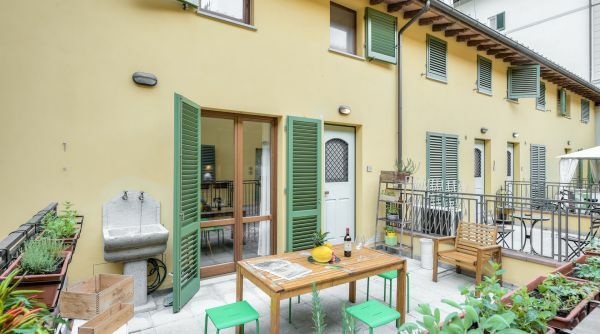 Steps from the apartment are the remains of a defensive tower and one of the medieval city gates of Florence: porta San Frediano. 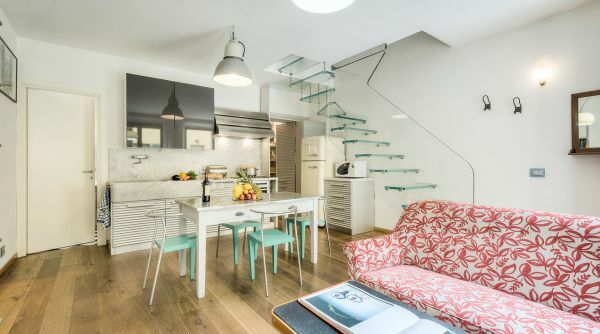 Considered to be one of the most authentic neighborhoods of the city, guests will have the pleasure of living within walking distance to some of the city's most beloved restaurants, lounges and artisanal boutiques. 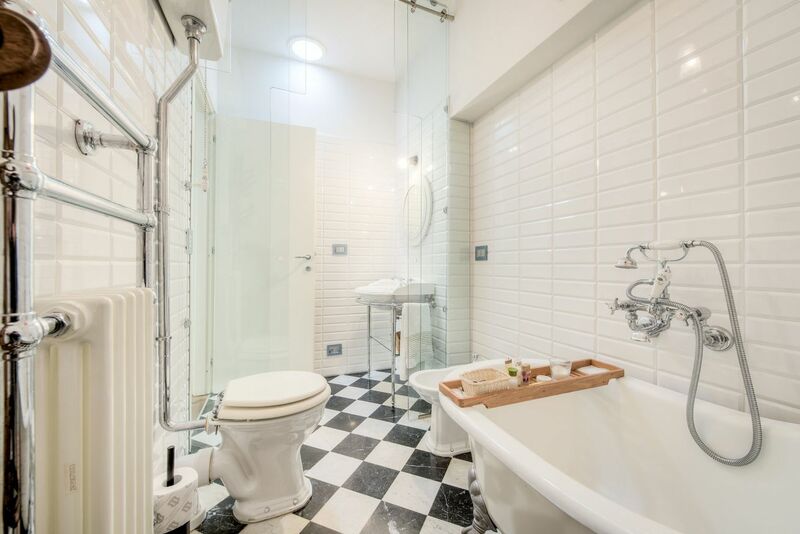 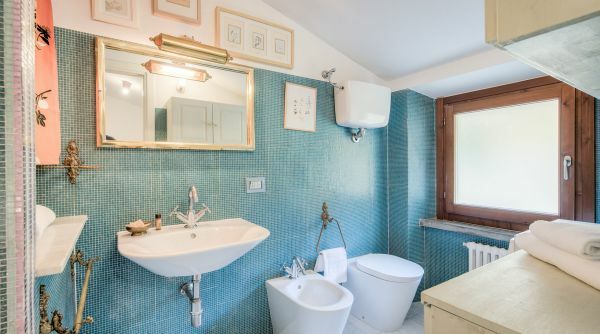 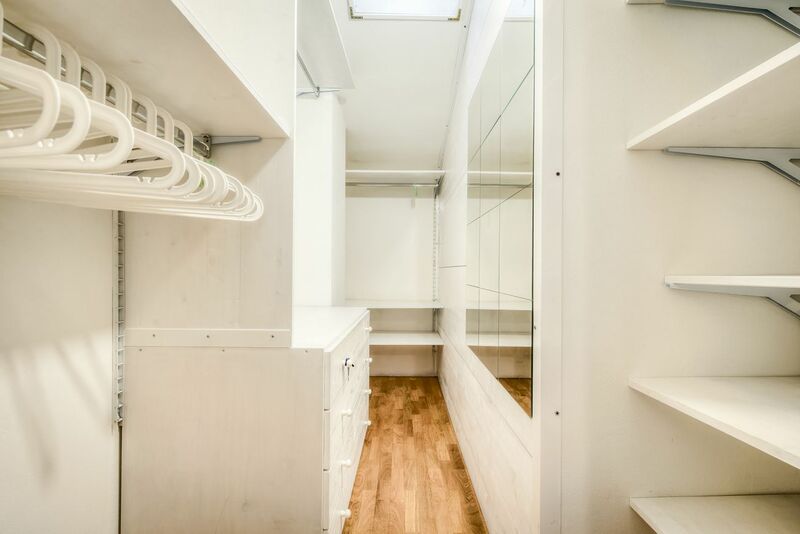 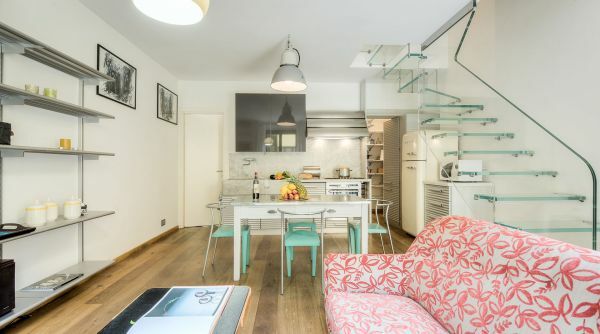 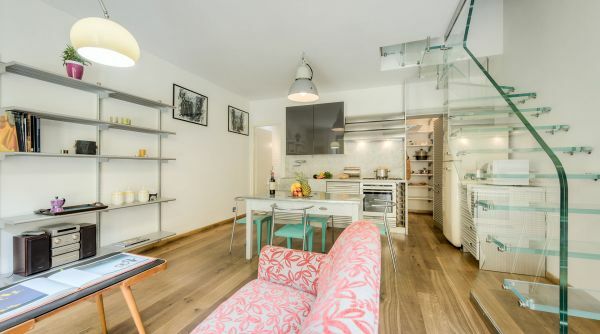 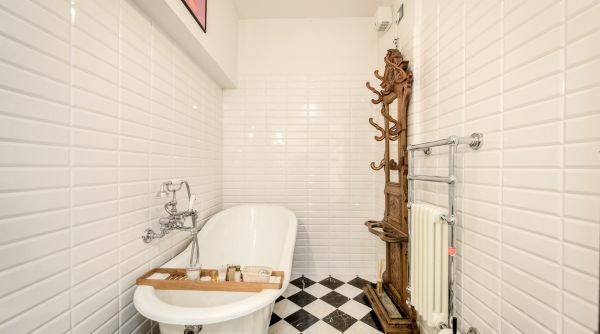 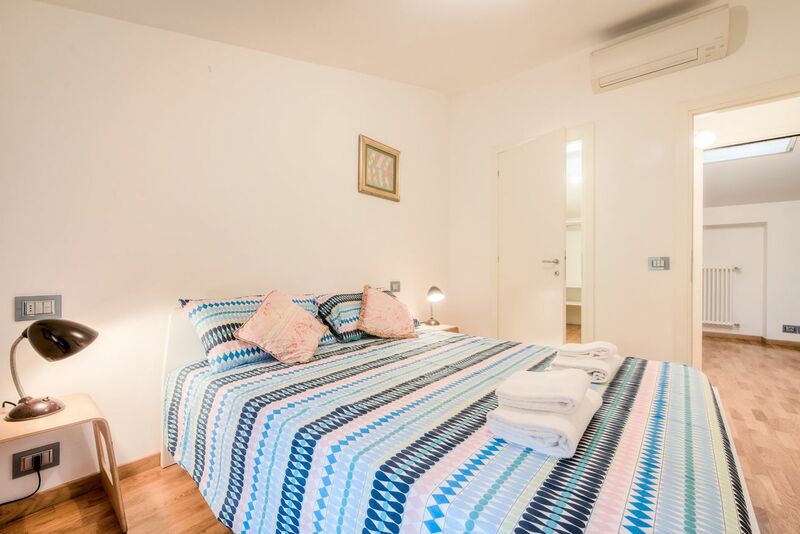 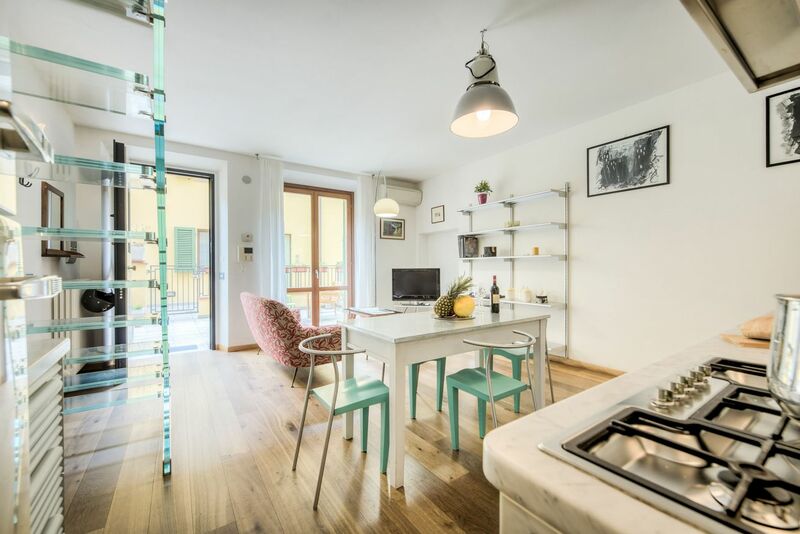 The apartment is away from the bustle of the heart of the city center, but within just a short 15-20 minute walk along the river guests are enough to reach the Ponte Vecchio, the Uffizi Gallery and the Duomo. 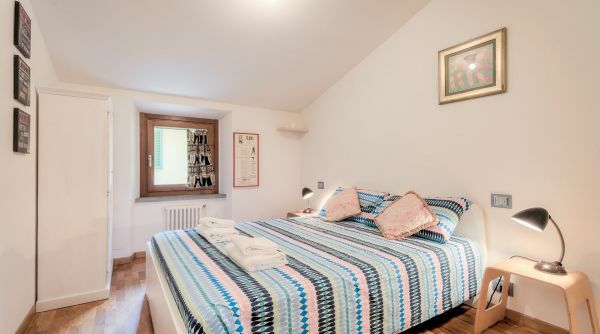 From the main train station of Florence, Santa Maria Novella, you can catch a bus: lines D and 6B by ATAF.